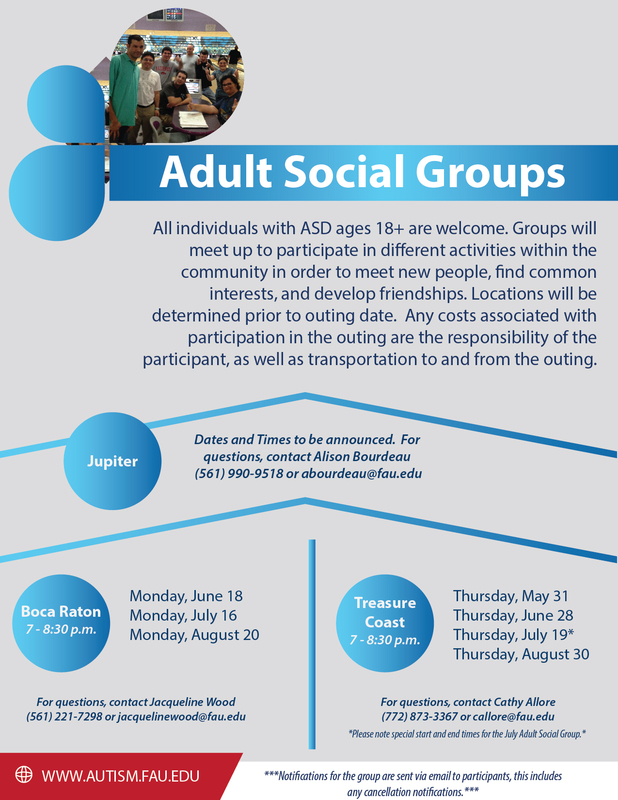 Adults with an autism spectrum disorder ages 18 and older are welcome. Groups will meet at various community locations to discuss issues, problem solve, and form friendships. Locations will be determined prior to outing date. Any costs associated with participation in the outing are the responsibility of the adult participant, as well as transportation to and from the outing. 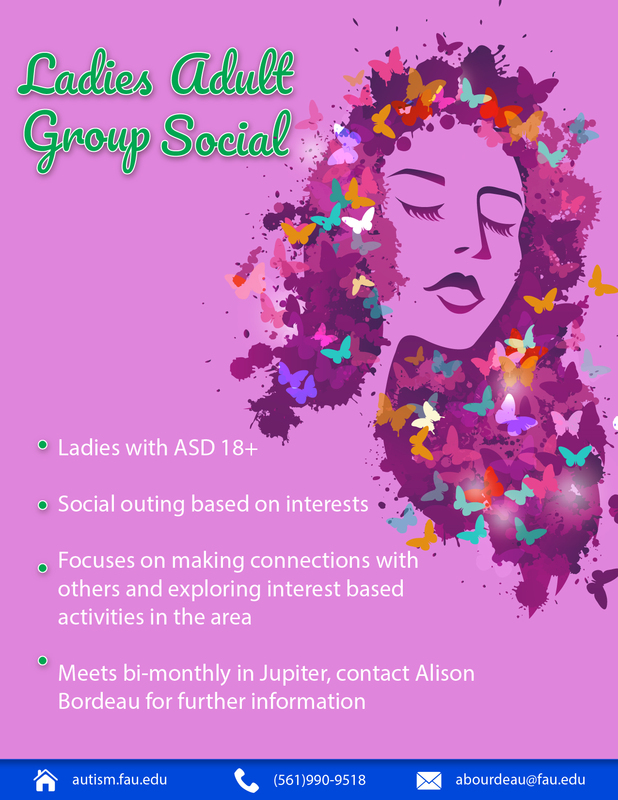 Women with autism 18 years and up are welcome. Group will meet in the Jupiter area. This group focuses on making connections with others and exploring interested-based activities in the area.